Vince Converse played at Dan Electro’s Guitar Bar recently. Posted in Digital Media, Gallery, Music, Photo Shop, Photography. we are studying mediated terrorism, historical and current, including cyber-terrorism as our global issue theme. The semester started with V for Vendetta. One of my all time favorites. We had a VHS promo copy that was worn-out. Click on the image to see the variations of the Guy Fawkes Masks. The film, We Are Legion: The Story of the Hacktivists, showed how using denial of service to standing up for human rights with the use of technology. 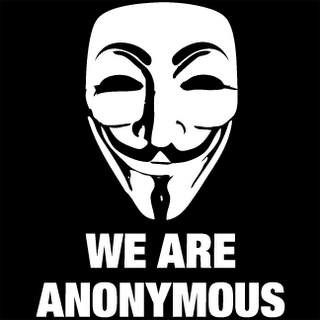 The controversy of the after-math of several incidences gives insight into the minds of ANONYMOUS . Do you believe that there should be the same freedoms we utilize on USA soil, freedom of speech, right to protest, etc… on the Internet? Yes or No…there is no “right” answer. Then part two of your post, give ONE example from either film to explain why yes or no. I believe that the Internet should have the same freedoms that the United States defends. As many have said, the Internet has caused a revolution in the way humans communicate. Media became global from the point that the Internet connected us. The human right to communicate freely need to be protected in order for humanity to remain. Part 2Preserving this freedom was a theme through both films. Since 1605, the Guy Fawkes Mask has symbolizes the fight against oppression and tyranny. He planned on blowing up the House of Lords in English Parliament and assassinating the King to end religious intolerance (Hutton 2011).It’s not a symbol of passive resistance but a symbol of active terrorism – it’s about bringing down a government and a country and that could be quite scary and alienating to some people (Waites, R. 2011). Many groups around the global have donned the mask to hide their individual identity. The flip side to the mask is that it provide a unified front for the collective whole. The character of the mask is now a global brand for protest through symbolics. Hutton, R. 2011-02-17. What If the Gunpowder Plot Had Succeeded? BBC: History. Retrieved from http://www.bbc.co.uk/history/british/civil_war_revolution/gunpowder_hutton_01.shtml on 1/23/2014. Waites, R. 2011-10-20. V for Vendetta masks: Who’s behind them? BBC News Magazine. Retrieved from http://www.bbc.co.uk/news/magazine-15359735 on 1/23/2014.